Okay, at the end of this episode we are left with the PM knowing about the Dalek, but not sharing and an immortal Dalek LMD living in Paisley and able to build space Spitfires. If this isn’t a setup I don’t know what is. 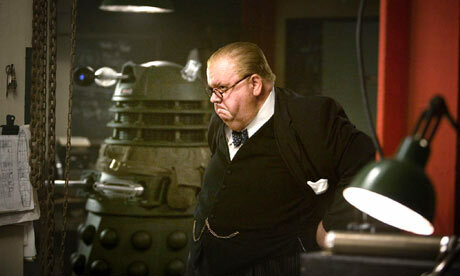 Cor, isn’t Winston Churchill fat though?